Man Utd pair Sergio Romero and Diogo Dalot both started for the U23s side in their clash with Stoke City on Friday night. It’s been a difficult campaign for Jose Mourinho thus far, as the Red Devils have lost two of their opening three Premier League games. In turn, he’ll be desperate to see a positive reaction and result against Burnley on Sunday. 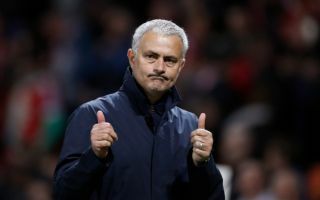 Moving forward, particularly with the fixture schedule set to get busy after the international break with cup commitments and the start of the Champions League, the Portuguese tactician will be eager to have a fully-fit squad at his disposal. As per the tweet below from the club’s Twitter account, both Sergio Romero and summer signing Diogo Dalot could soon be available for selection, as the pair were handed starting berths for the U23s against Stoke. As noted by BBC Sport, the Argentine goalkeeper was forced to miss the World Cup earlier this summer due to a knee injury. While David de Gea will undoubtedly remain first choice between the posts, having a quality back-up option to rotate will still be key for Man Utd and Mourinho. Meanwhile, Dalot arrived at Old Trafford with an injury problem from last season, as per the Metro, but the young full-back looks as though he’s on course to step up his recovery now and could soon be pushing for a place in the senior line-up. #MUAcademy Under-23s: #MUFC v Stoke City (H) – Romero; Dalot, Poole, Williams, O’Connor; Garner, Hamilton, Burkart; Gomes, Bohui, Chong. Subs: Kovar, Tanner, Whelan, Buffonge, Barlow. The game kicks off at 19:00 BST and is live on #MUTV! Eager to watch @DalotDiogo play. Let’s goo! ?